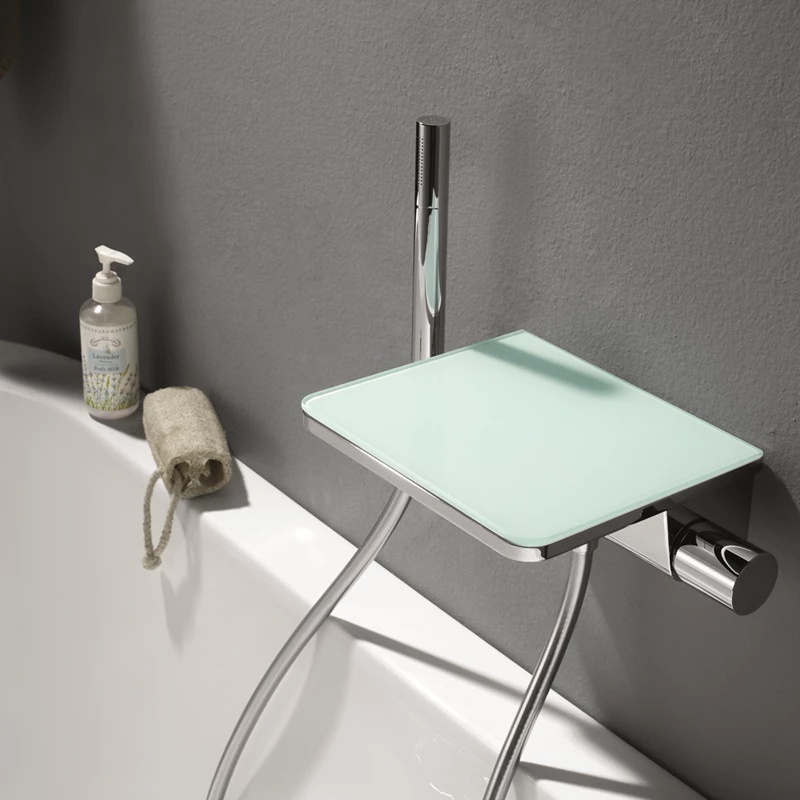 Finished in highly polished chrome with subtle temperature markings, the Annecy Glass Bath Shower Mixer stimulates the senses. 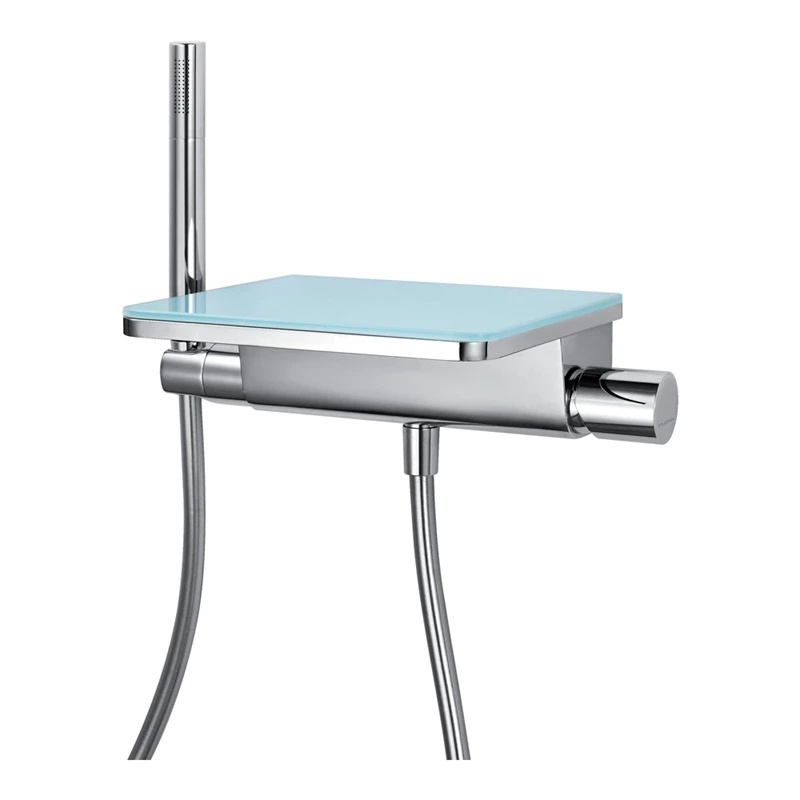 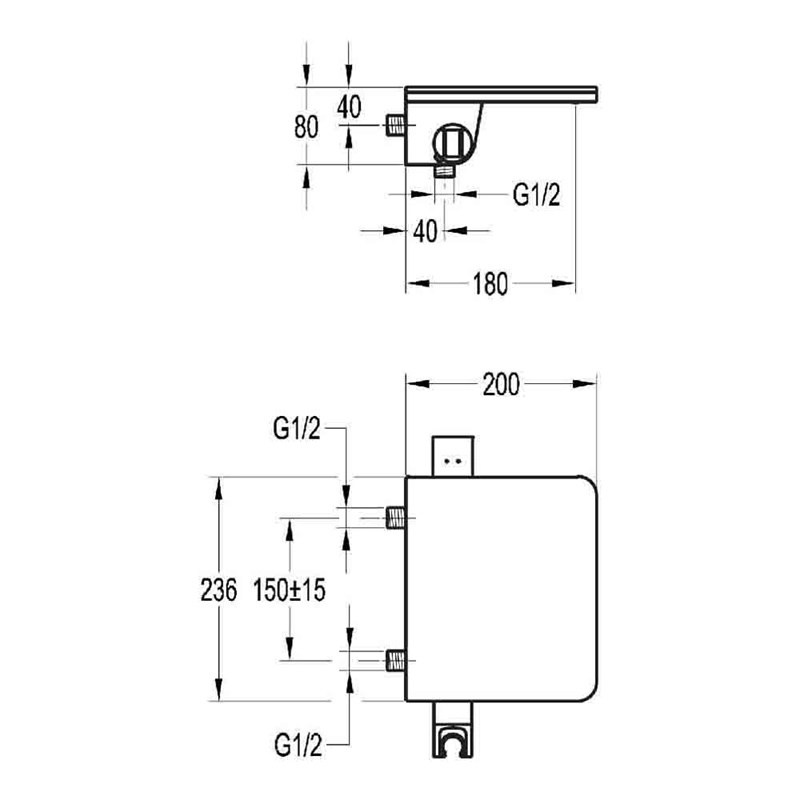 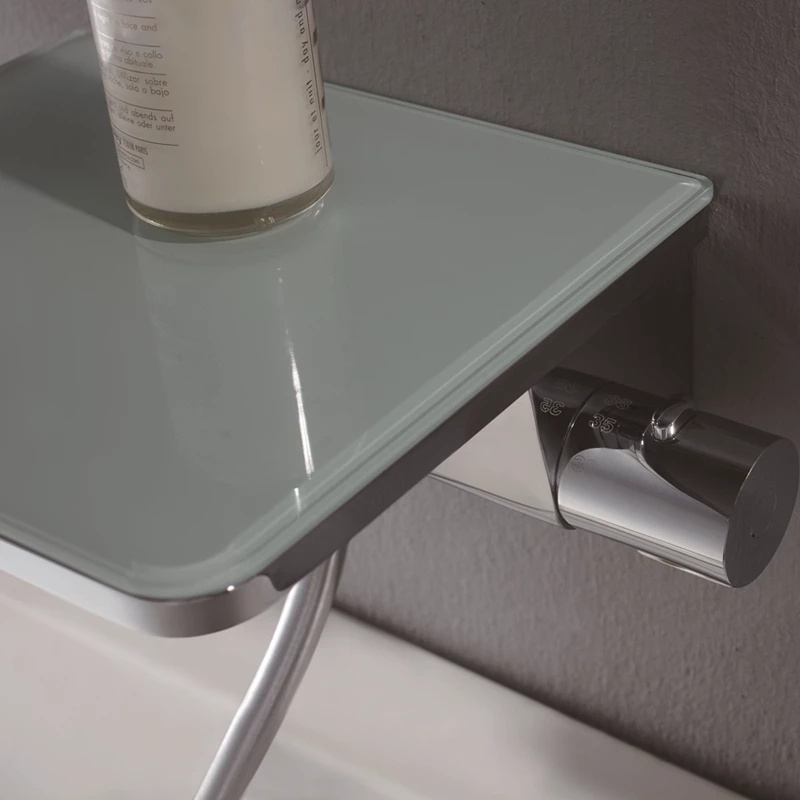 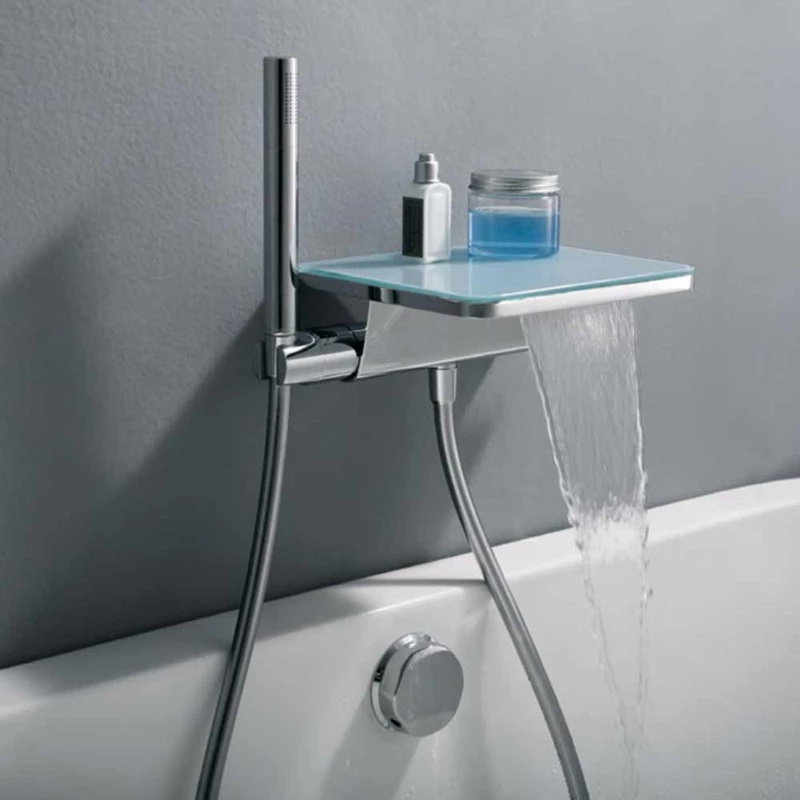 Visually innovative and intuitive to the touch, the Annecy Glass Waterfall Bath Shower Mixer has a sleek shelf design that conceals the spout with its broad flow of water, while providing extra storage space. 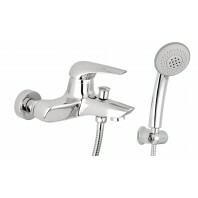 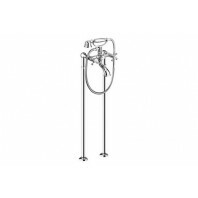 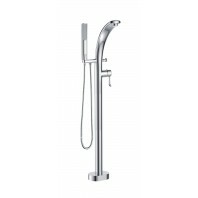 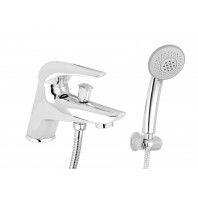 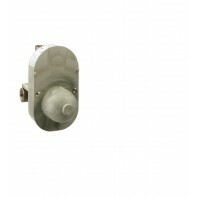 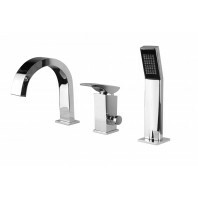 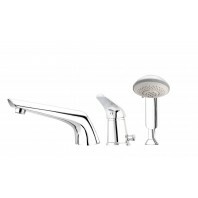 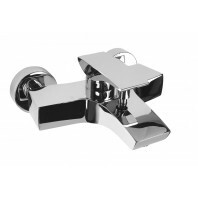 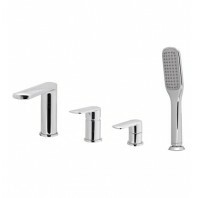 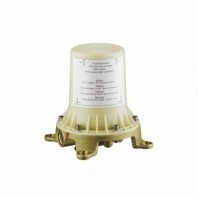 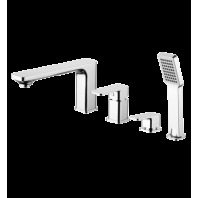 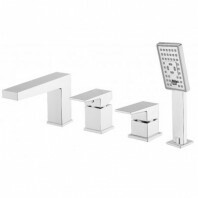 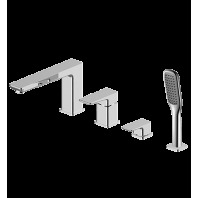 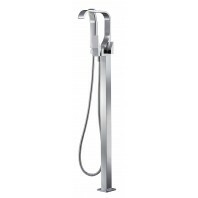 It comes complete with a single function hand shower, hose and integrated handset holder. 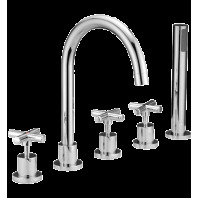 The Flova Annecy Collection is crafted from virgin brass, which means you are guaranteed a contaminant-free material with incontestable durability. 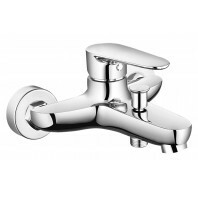 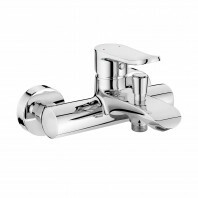 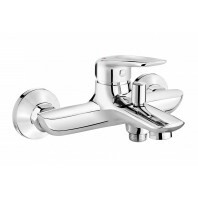 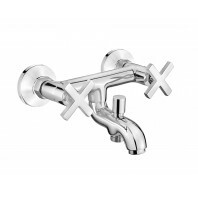 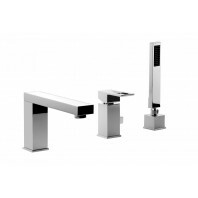 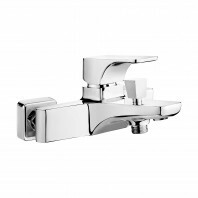 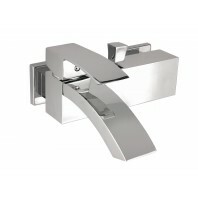 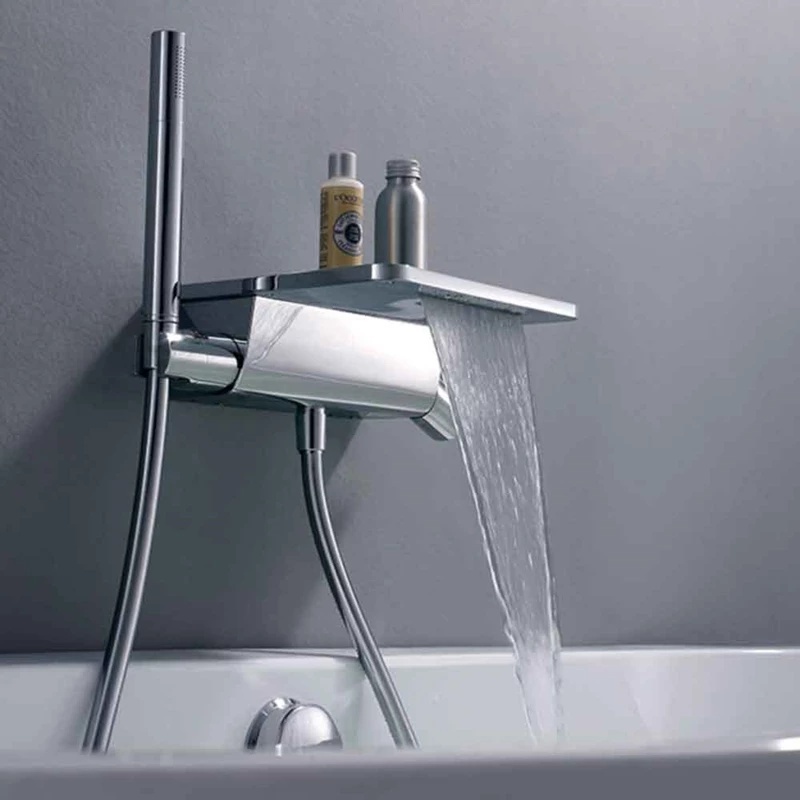 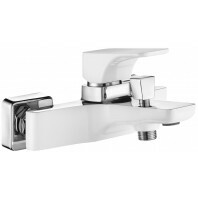 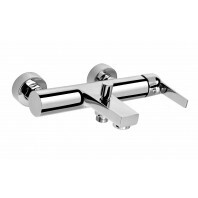 In addition, the brassware is manufactured with Diamond Chrome finish, for a smooth and dust-proof polished surface with a long-lasting shine. 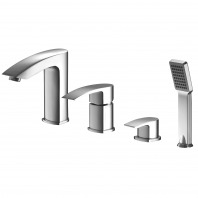 Flova designs its products with the installer in mind, ensuring ease of installation. 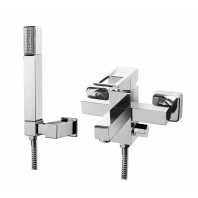 An example of this is the Easyfit System, which includes brass fixings and installation template, allowing for an accurate adjustment and a precise finish. 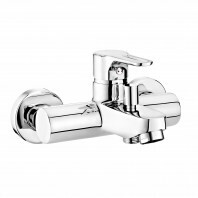 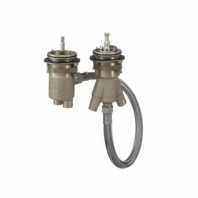 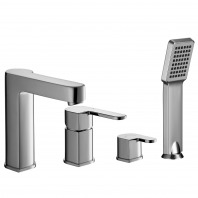 As proof of its quality, the Annecy brassware is supplied with a 10-year warranty; and all working parts, such as cartridges and seals, are covered for 3 years.